Besides my regular work in IT industry, in the last 15 years I have been working on improvements of my trading methodology. 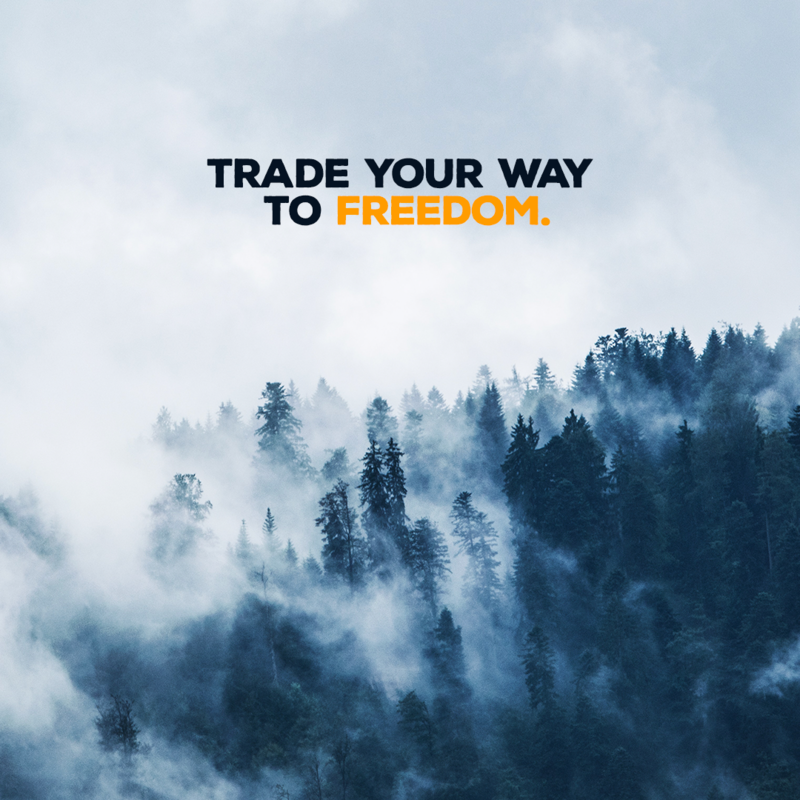 From the very beginning when I started to trade with BluFX I was very confident that I will get to 1 million. First 2 months weren’t so good, there was lot of ups and downs. I wasn’t able to make few consecutive profitable trades. However, after about 3 months I reached 5% profit and withdrew it to my bank account. The new start was much better. I made 10% in about 2 months. When I moved to 100k account I needed only 1 month and a half to reach next 10%. For the last level (200k) I needed about 2 months and a half to get to 235k account value. In total, my journey to 1 million lasted 9 months but considering the 5% withdrowal after first 3 months it could be said that I needed 6 months to reach 1 million from zero. 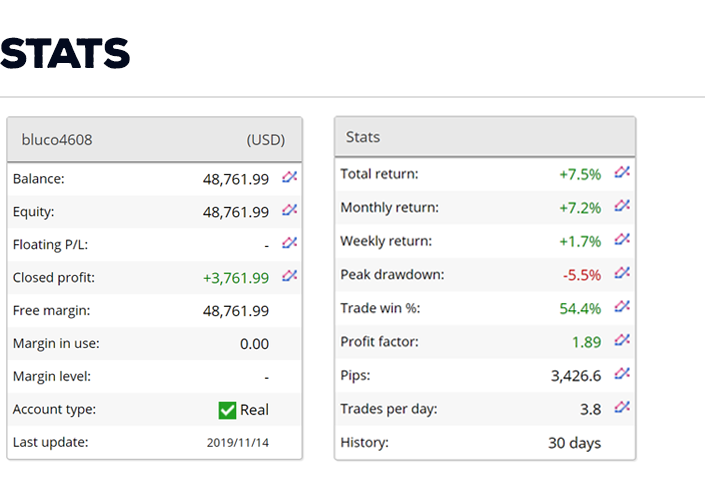 For those interested in account growth the stats that stick out here are the monthly return, averaging 3.1% and combined with a peak drawdown of 6.3%. This means Ivan is able to recover from his worst run within 2 months on average. Yet his worst single month was 2.5%, less than his average gain. This is very important not to fall too far behind when a trader goes through difficult spells. Another major factor is a trade win% of 69.9%. 2 thirds of his trade were profitable. 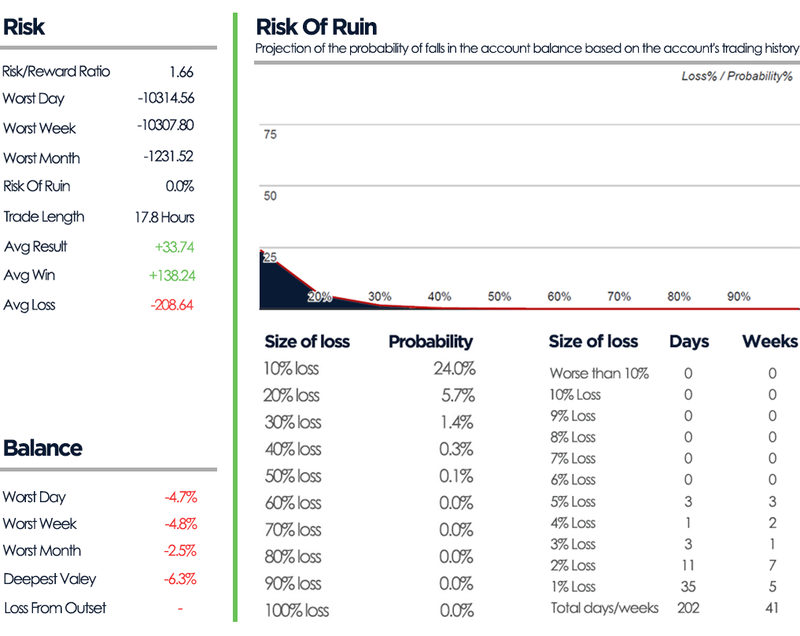 This allows him to take a bit more risk with individual positions resulting in a higher average loss than average win amount. From a risk management point of view Ivan is a fund manager able to manage large amounts due to his risk reward ratio of 1.66 and his low risk of ruin. There is almost zero risk that he will blow up an account and lose more than 50%. There is 5.7% that he will lose 20% and a 24.7% chance of a 10% loss.